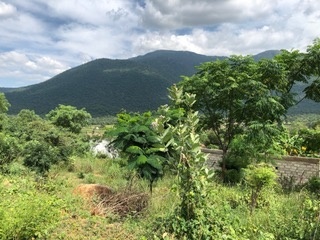 The Anisha Project in India is best known around the Subud world for its Susila Dharma rural development projects in the areas of natural farming and creating a seed bank/resource centre. To develop self-sustainability, Valli of Anisha proposed a small enterprise idea to the SESI $100,000 Project Fund. She was awarded $6000. As Valli explained in her submission, "The resource centre has basic accommodation with two dormitory rooms and two twin bedrooms, which presently are considered too basic to be attractive to visitors at a profitable margin. We propose to upgrade the accommodation to a higher degree of comfort, while retaining the simple and tranquil environment of the centre. We anticipate the facilities will appeal to the eco tourist end of the market. There will be some physical refurbishment and additional building as well as development of marketing activities, mainly internet based, to promote the existence of the centre." Susila Dharma board member Stephanie Holloway visited Anisha recently and was able to observe the current state of the project. 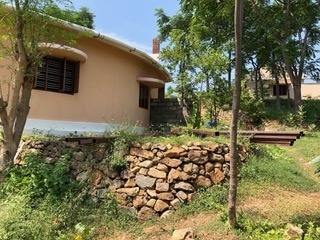 "Work has in fact already started in a small way at Anisha to upgrade the accommodation to host visitors at the rural centre, which has been operational since 2008. 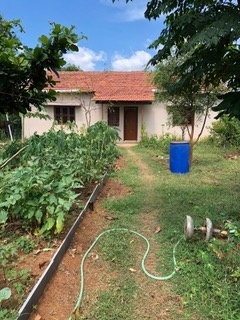 Its founders Valli and Rajan have worked in their rural community since that time, championing natural farming and growing techniques, establishing a seed bank of native varieties of vegetables and grains, and providing local people with the means to produce their own home-grown vegetables. The main refurbishment, however, will not start for a while, as agricultural activities of seed harvesting and processing at the centre are in still in full swing. The centre, in a lovely landscape setting, is a beautiful place to visit, with clean if basics rooms and simple but excellent food. The upgrade will improve things further, though it is already possible to stay there. You can find more information on the work of the Anisha centre, including details of accommodation, at: http://www.anisha.org.in/"